Published: Sept. 9, 2018 at 07:44 p.m. Published: Dec. 17, 2017 at 04:21 p.m.
Carolina Panthers defensive end Julius Peppers sacks Green Bay Packers quarterback Aaron Rodgers on 4th down for a loss of 10 yards. Published: Dec. 10, 2017 at 03:16 p.m.
Minnesota Vikings quarterback Case Keenum has hit hand hit by Carolina Panthers defensive end Mario Addison and he loses the ball and it is recovered by safety Mike Adams. 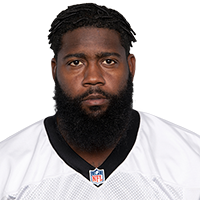 Published: Nov. 17, 2016 at 08:40 p.m.
New Orleans Saints QB Drew Brees is strip sacked by Carolina Panthers defensive end Mario Addison and the Panthers recover the fumble.